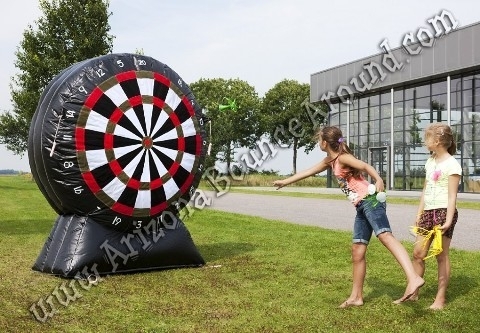 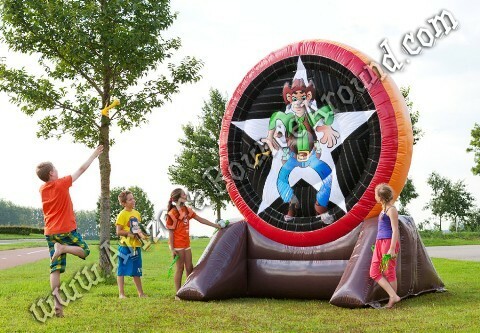 Our Velcro dart game rental price includes the inflatable dart board and 6 velcro darts ready to play. 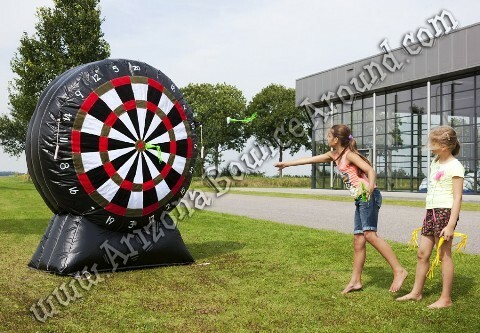 This dart game can be played indoors or out and is perfect for kids or adults. 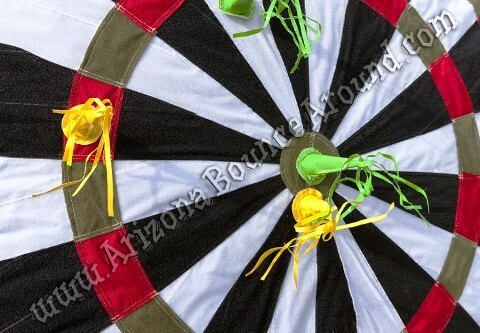 This is a great team building game and we also have it in a western theme shown below.